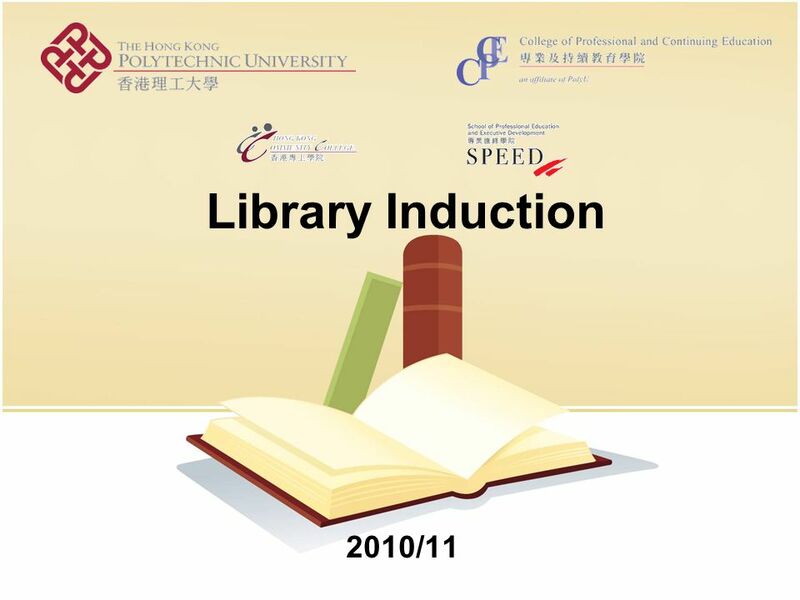 Library Induction 2010/11. 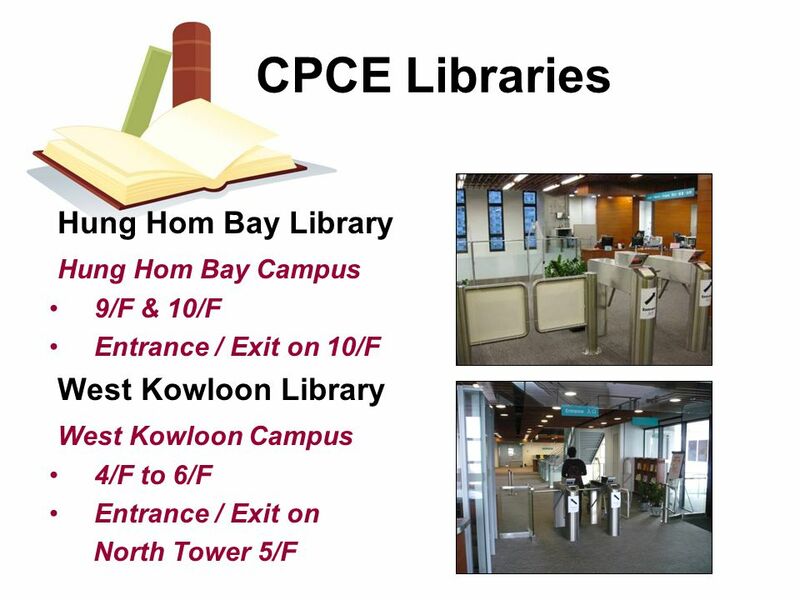 CPCE Libraries Hung Hom Bay Library Hung Hom Bay Campus 9/F & 10/F Entrance / Exit on 10/F West Kowloon Library West Kowloon. 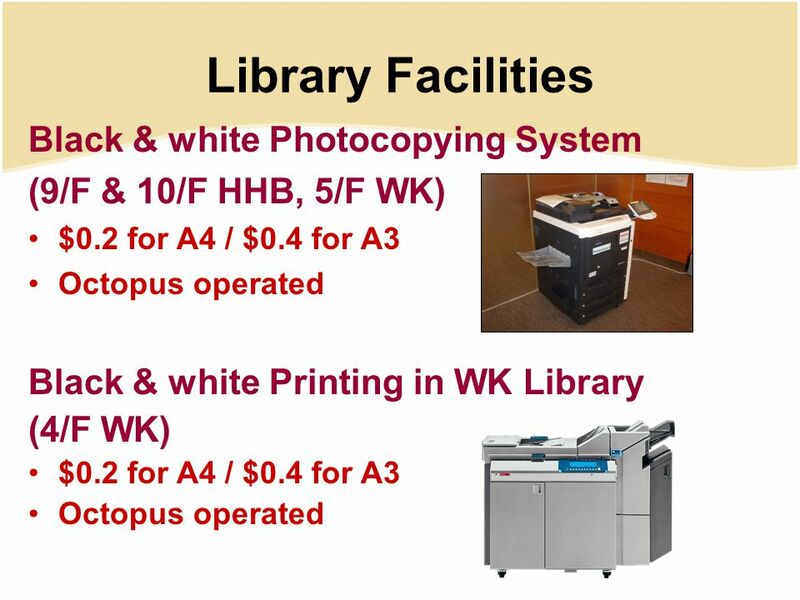 3 Opening Hours Mon. 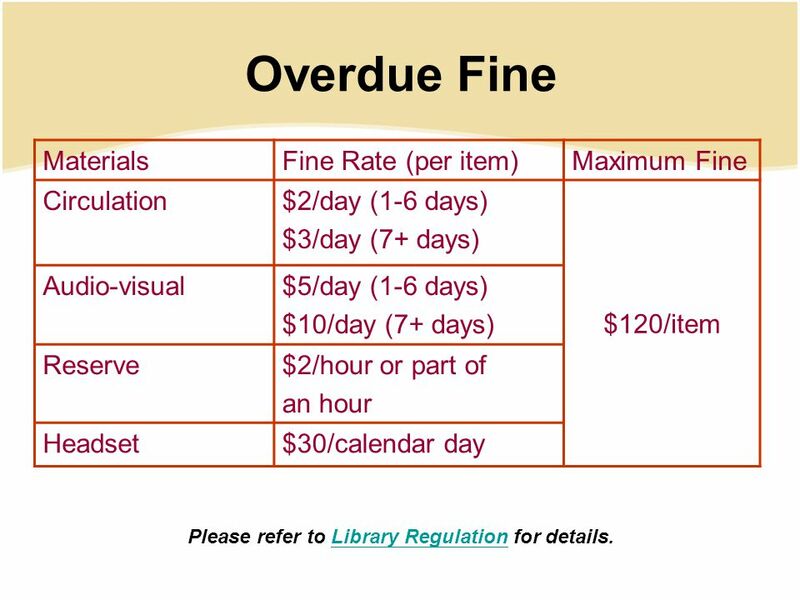 - Fri.Sat. 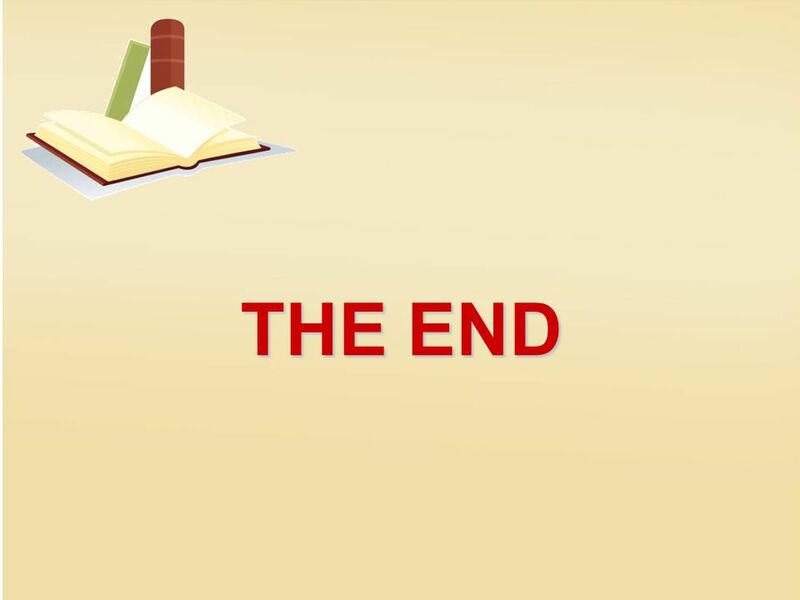 Sun. 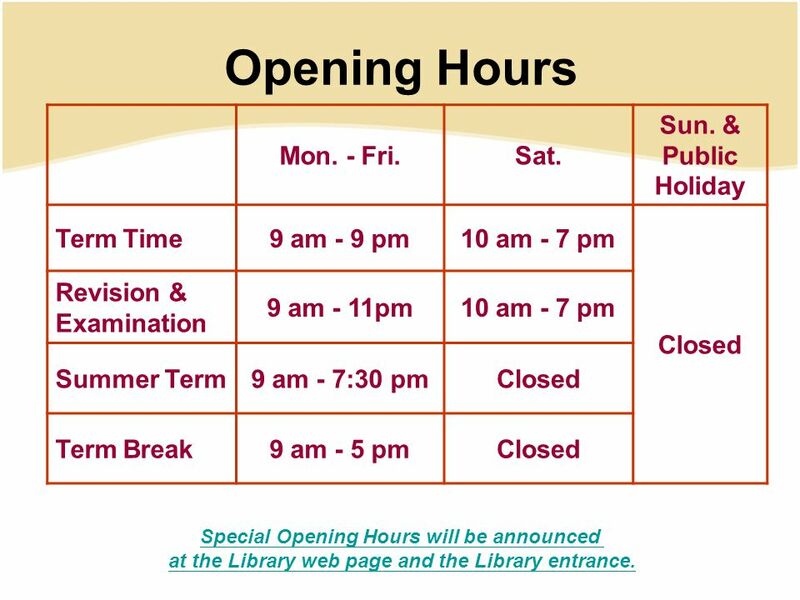 & Public Holiday Term Time9 am - 9 pm10 am - 7 pm Closed Revision & Examination 9 am - 11pm10 am - 7 pm Summer Term9 am - 7:30 pmClosed Term Break9 am - 5 pmClosed Special Opening Hours will be announced at the Library web page and the Library entrance. 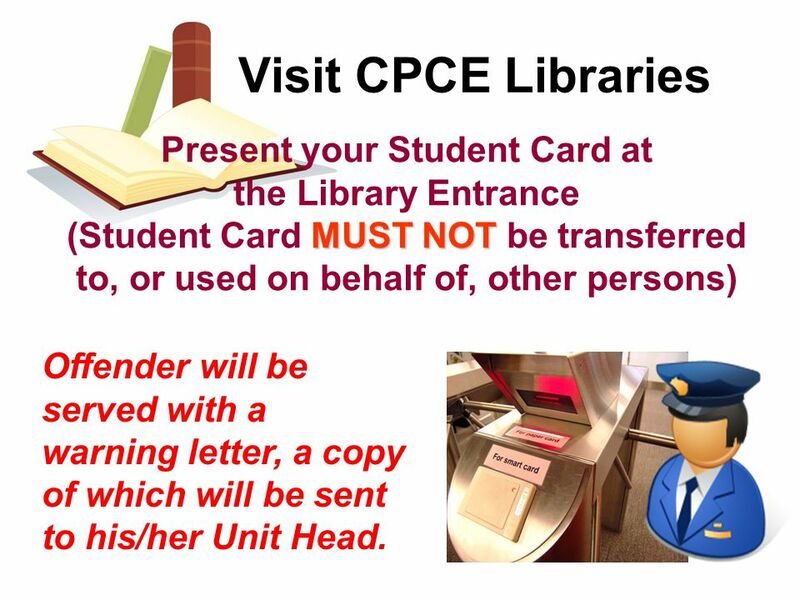 6 Visit CPCE Libraries Present your Student Card at the Library Entrance MUST NOT (Student Card MUST NOT be transferred to, or used on behalf of, other persons) Offender will be served with a warning letter, a copy of which will be sent to his/her Unit Head. 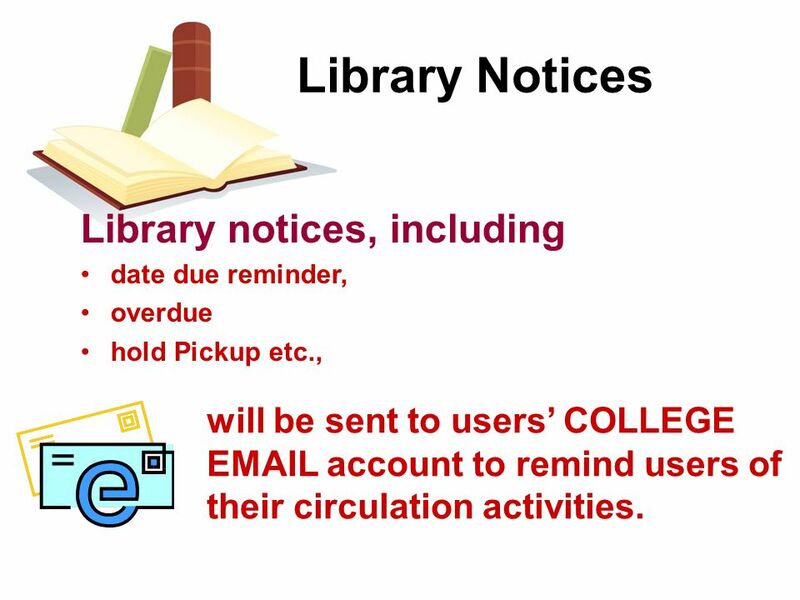 12 Library Notices Library notices, including date due reminder, overdue hold Pickup etc., will be sent to users’ COLLEGE EMAIL account to remind users of their circulation activities. 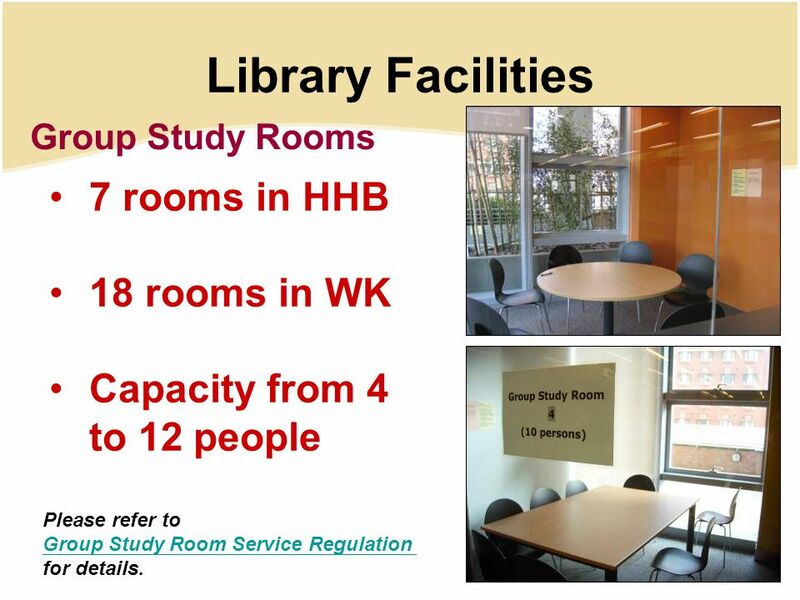 17 Library Facilities Group Study Rooms 7 rooms in HHB 18 rooms in WK Capacity from 4 to 12 people Please refer to Group Study Room Service Regulation for details. 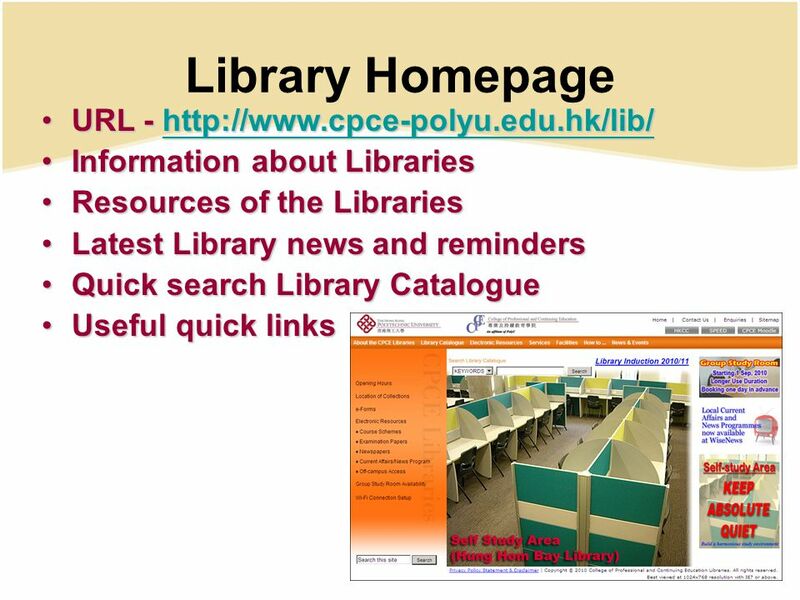 Download ppt "Library Induction 2010/11. 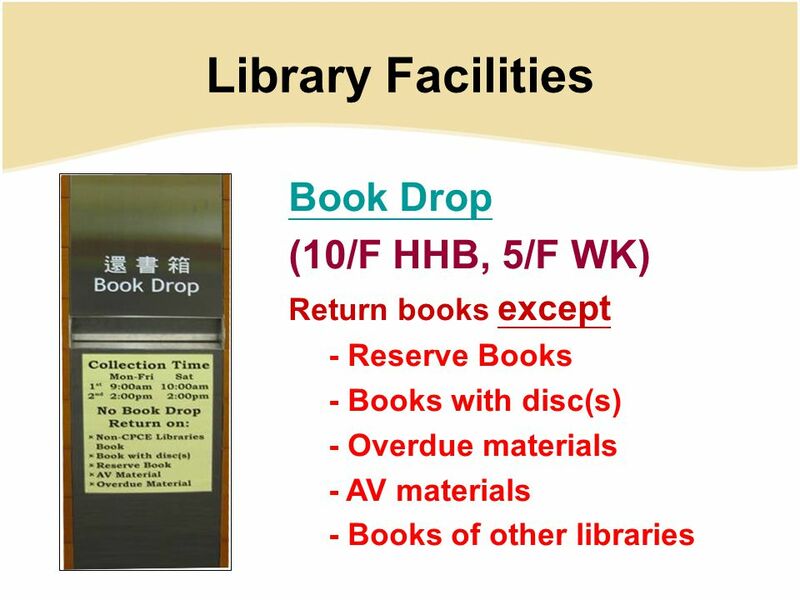 CPCE Libraries Hung Hom Bay Library Hung Hom Bay Campus 9/F & 10/F Entrance / Exit on 10/F West Kowloon Library West Kowloon." 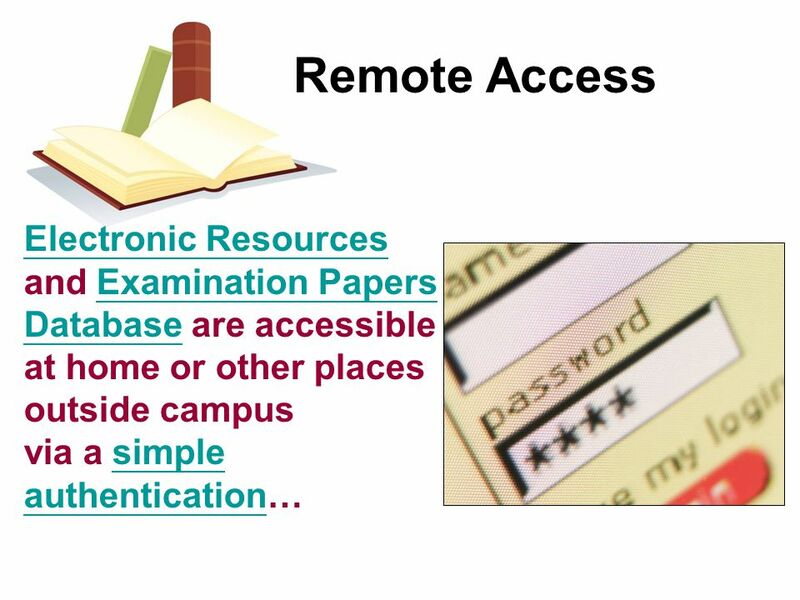 IT Services and Facilities Nigel Buckle User Support Manager. 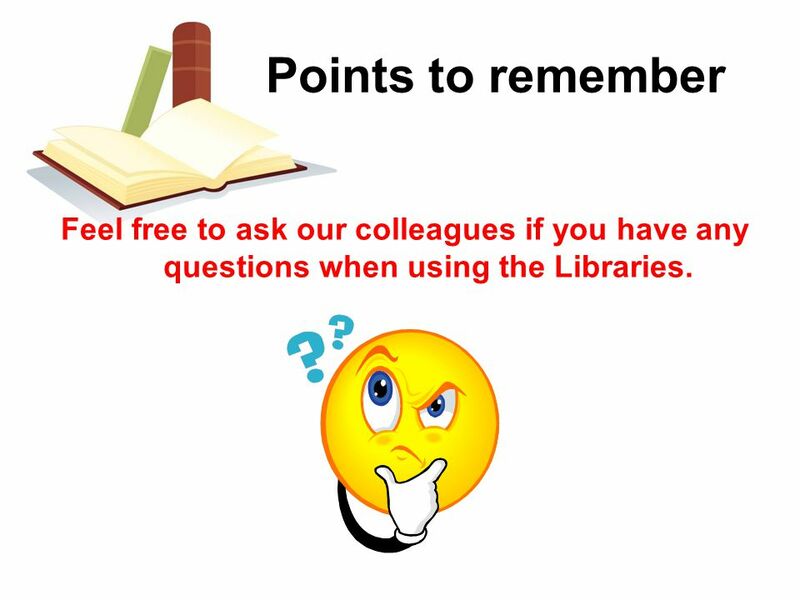 Welcome to the Library 1 Helen Whittaker Subject Librarian. 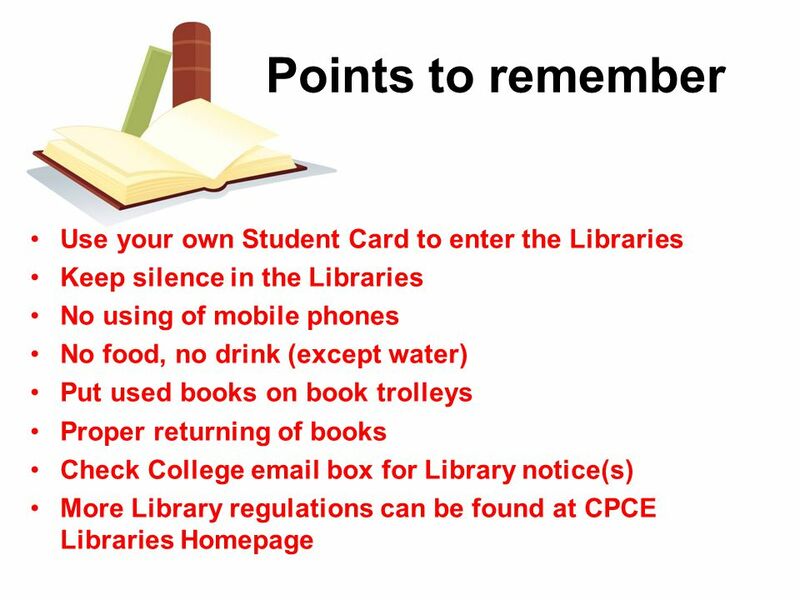 Welcome to the Library © Central Institute of Technology The library is open 6 days a week during term time as follows: Monday to Thursday am to. 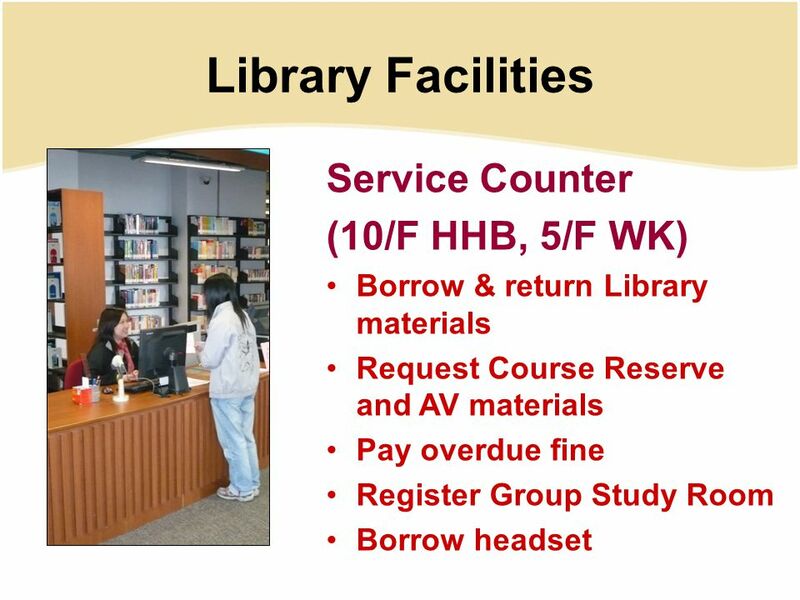 New Students Orientation American University of Beirut Libraries Information Services Department Summer 2011. 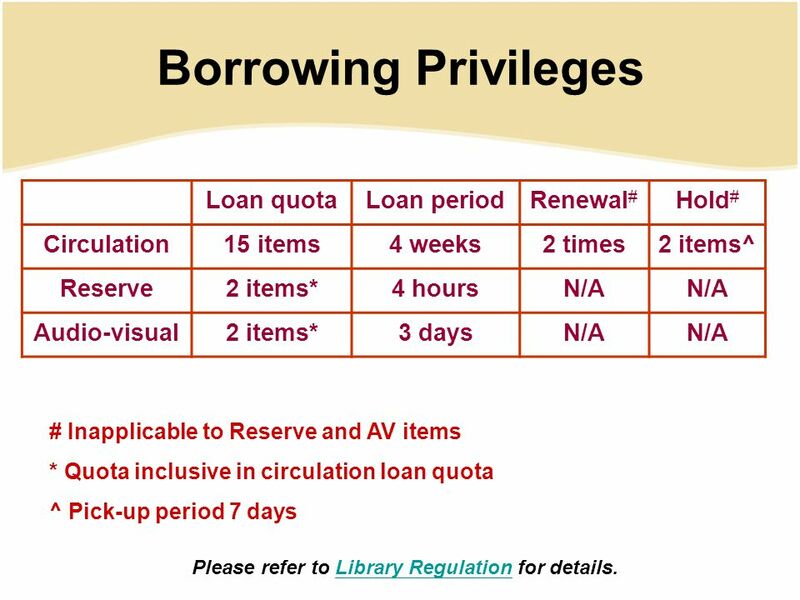 2013/14 Library Orientation Postgraduate Diploma Programmes. 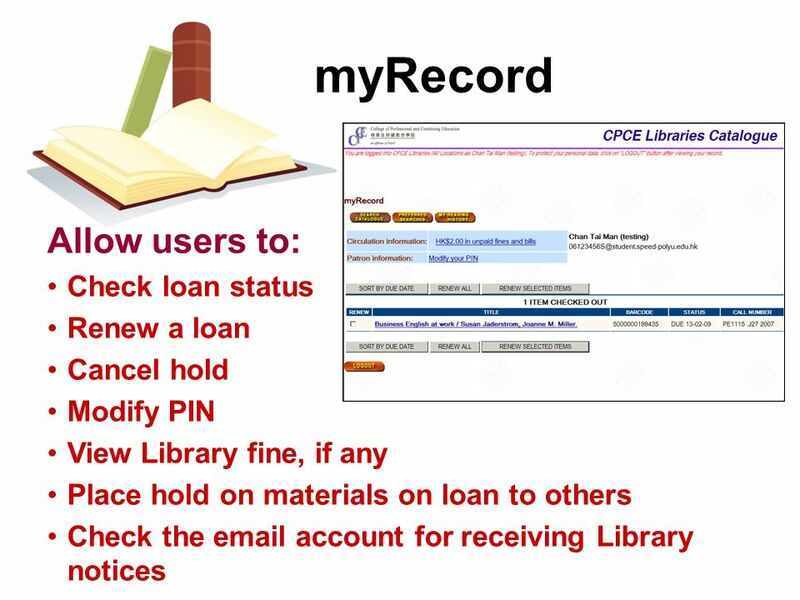 Accessing library resources and on-line databases Autumn 2013. 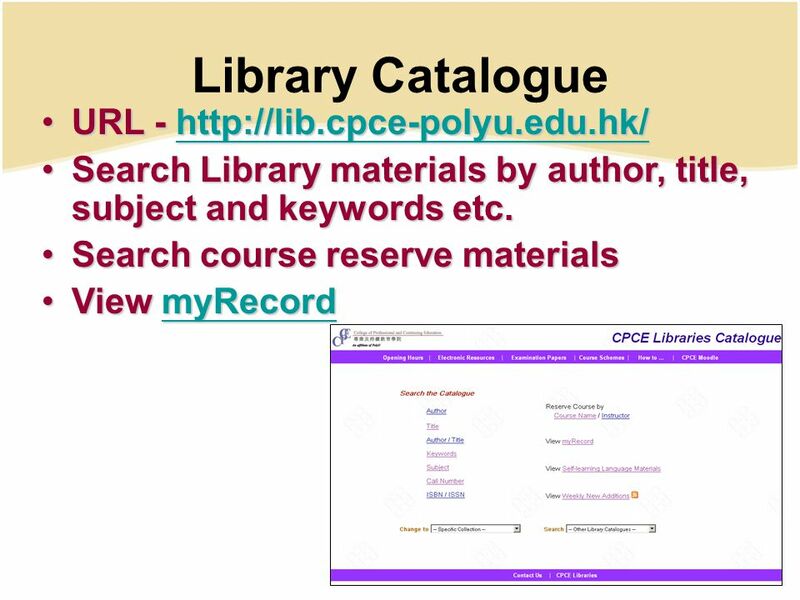 2012/13 Library Orientation Teacher Professional Development Course on Enhancing Learning and Teaching in a Small Class Environment. 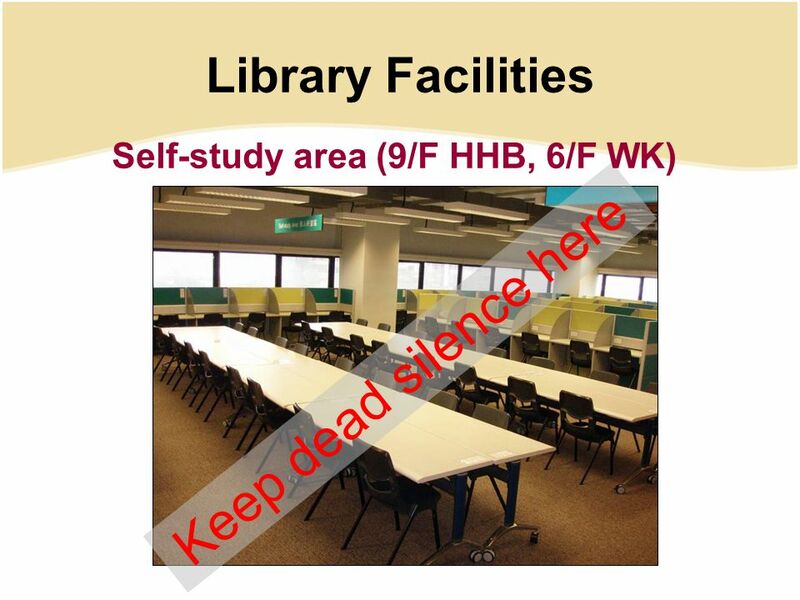 last updated 1/10/2010 Library Services Welcome to London Metropolitan University Libraries. 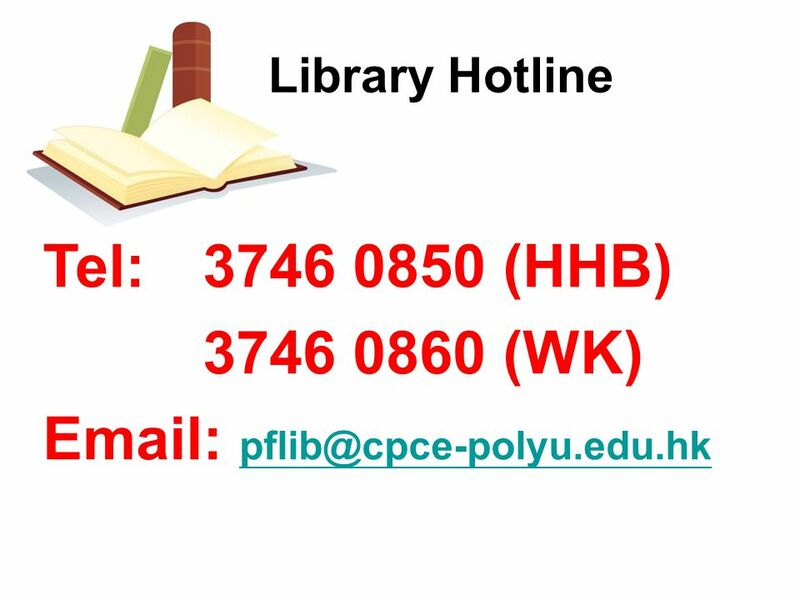 Welcome to the Library © Central Institute of Technology 2012 The library is open 6 days a week during term time: Monday to Thursday am to 8.30pm. 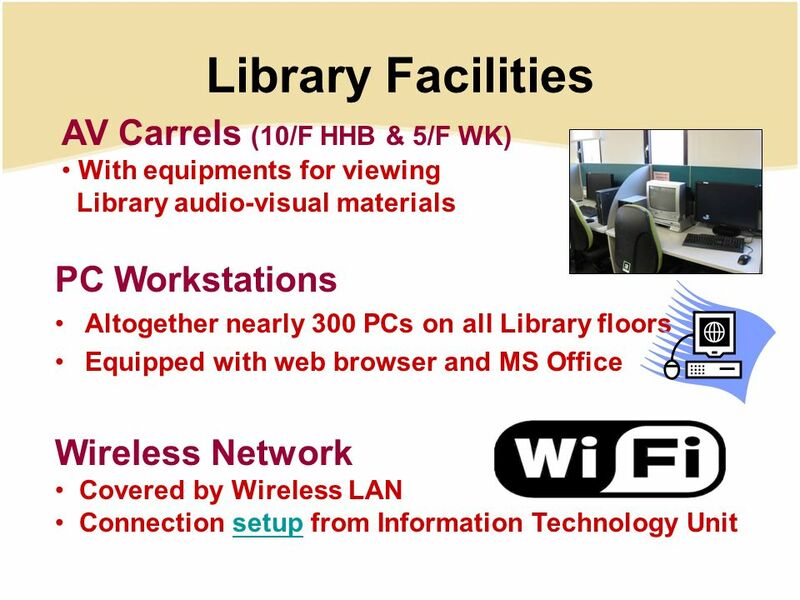 S.C. O’Neal Library and Technology Center: An Introduction.